GOLDEN TIGER’S EYE has long been regarded as a protective stone. It is said to assist you to recognise your needs and the needs of others, and will help with decision-making. It heals emotional issues of self-worth, self-criticism, lack of motivation and blocked creativity. It overcomes negative and addictive behaviours. 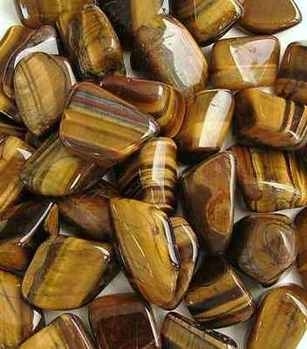 Tiger’s Eye can alleviate pain, treats eye and throat conditions; and may be beneficial for the reproductive system. In addition to the Golden Tiger's Eye properties, RED TIGER'S EYE can increase drive and motivation in all physical and reproductive areas of the body (like most red coloured crystals).